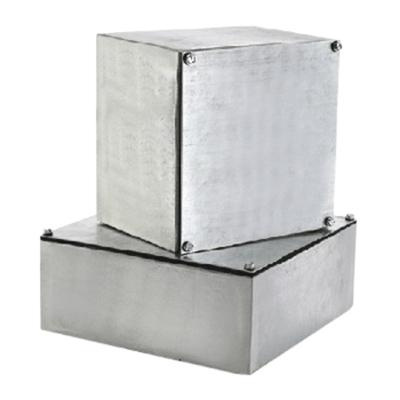 EBOX Screw cover gasketed box features G90U steel construction and has galvanized finish. It measures 8-Inch x 8-Inch x 6-Inch. It has removable cover fastened with plated steel screws. Gasketed box has NEMA 3 and 12 rating. Gasketed box is UL/ULC listed.